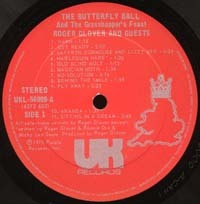 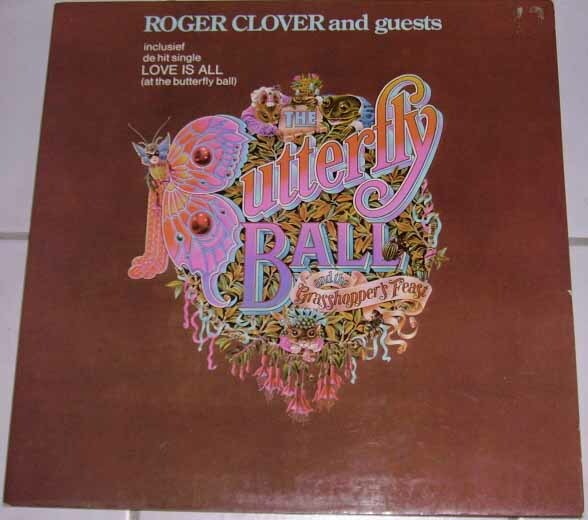 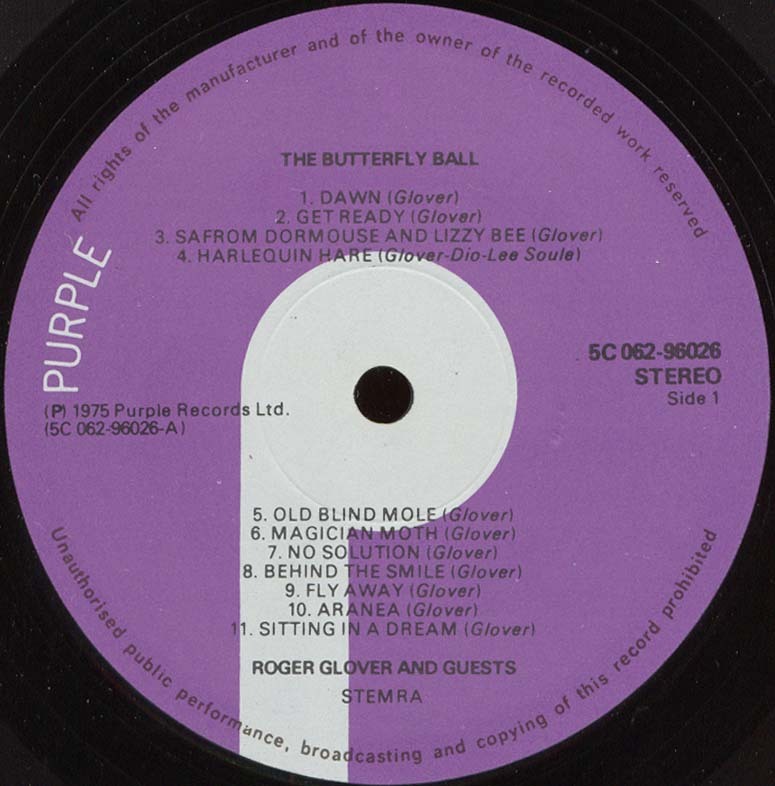 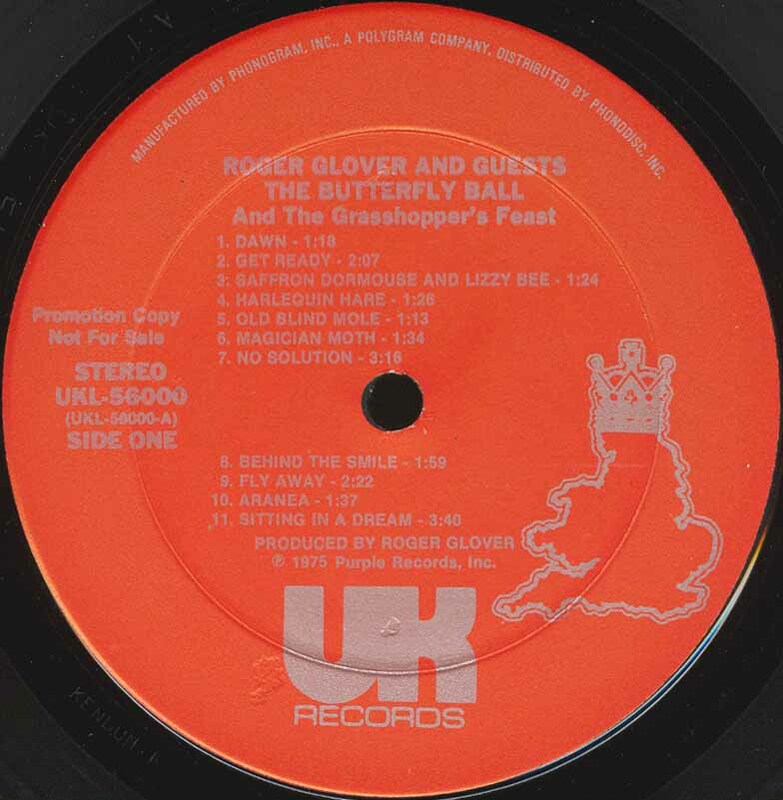 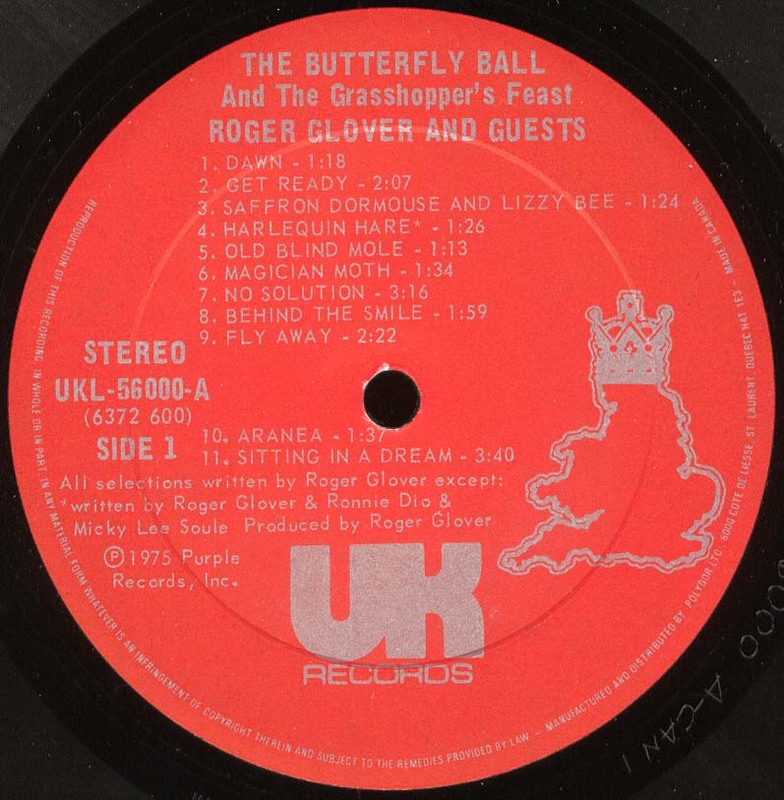 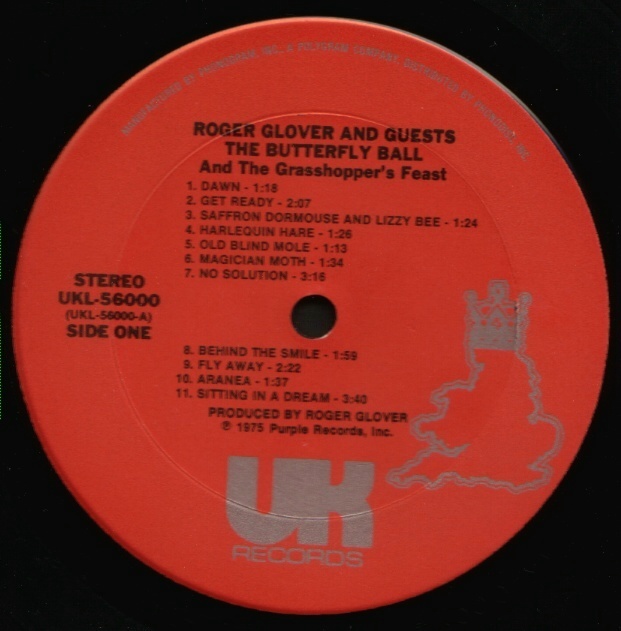 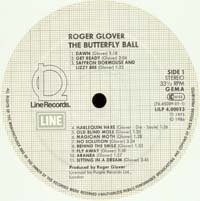 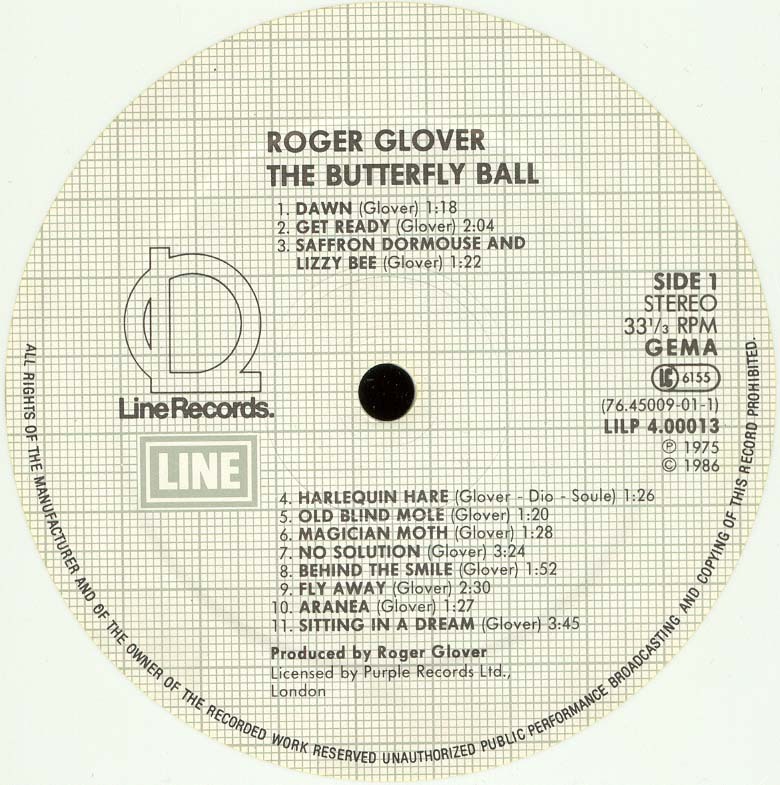 These are Roger Glover And Guests' LPs with Ronnie James Dio on them. 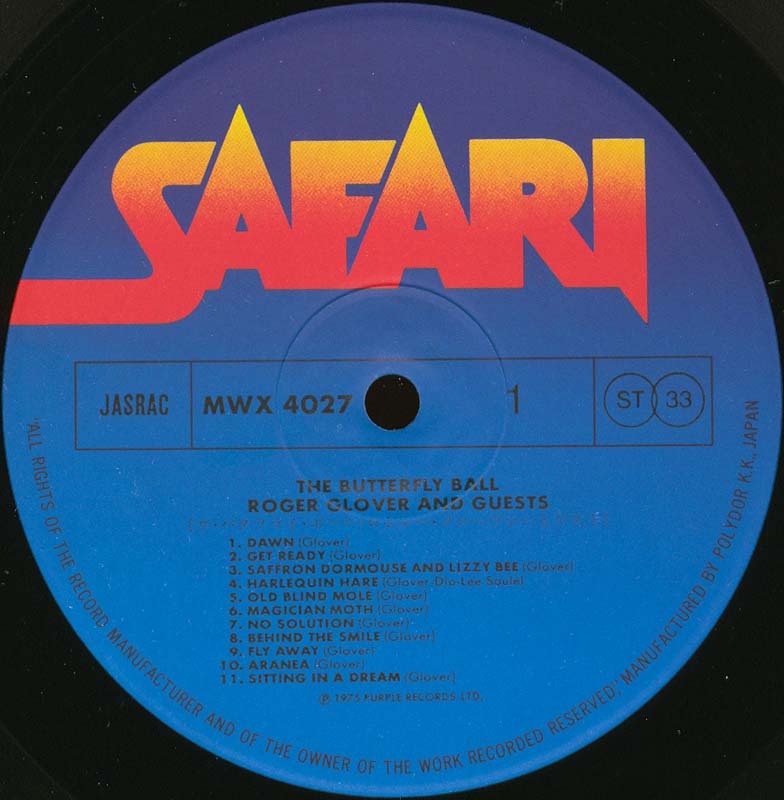 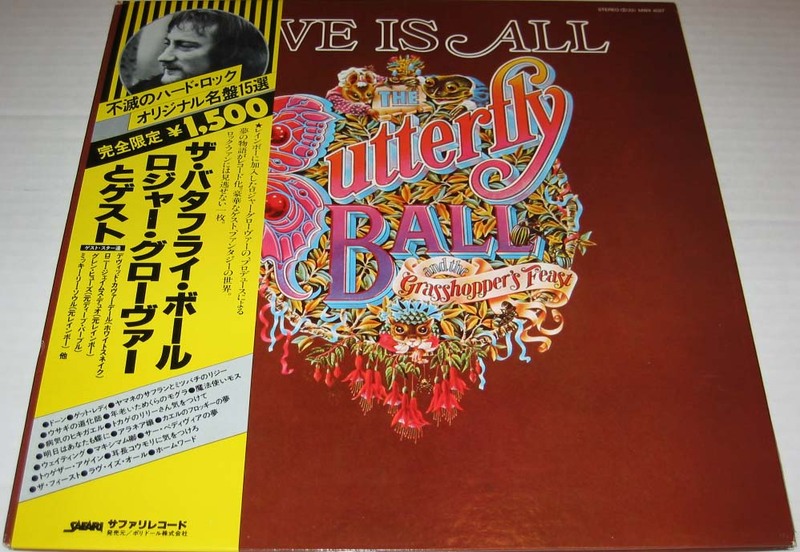 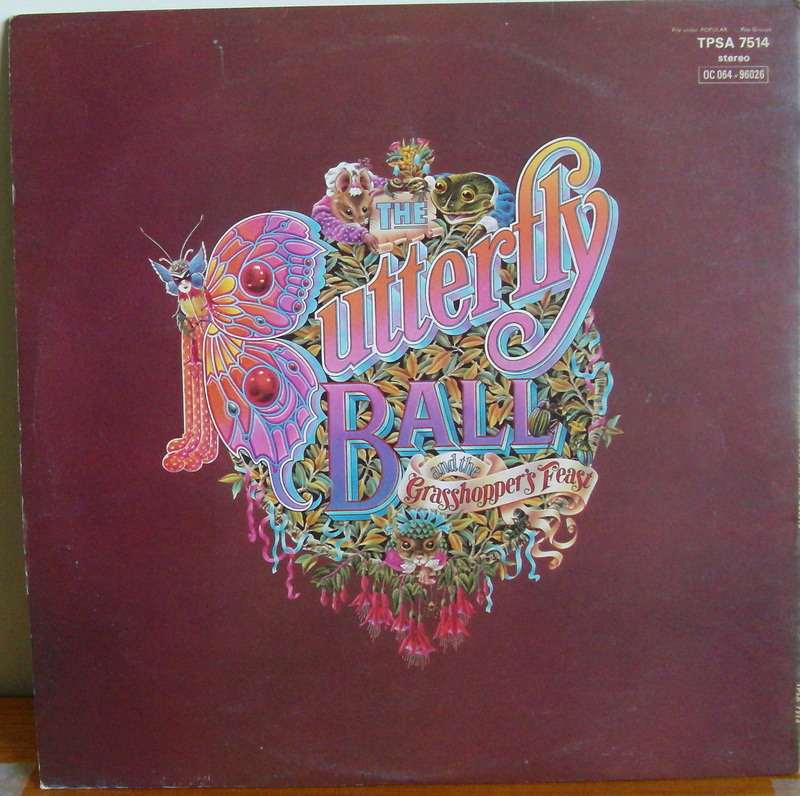 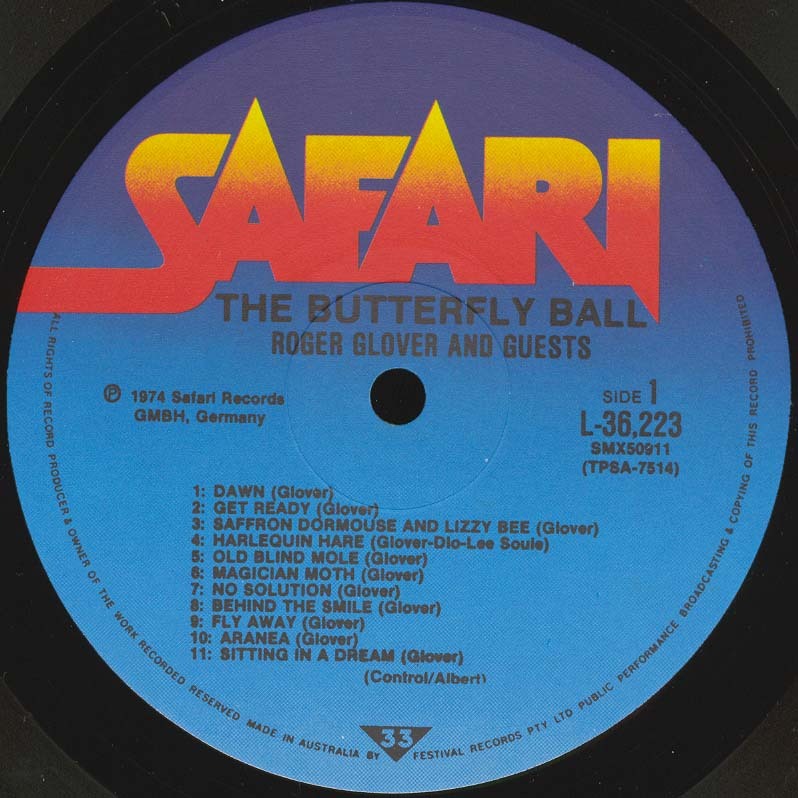 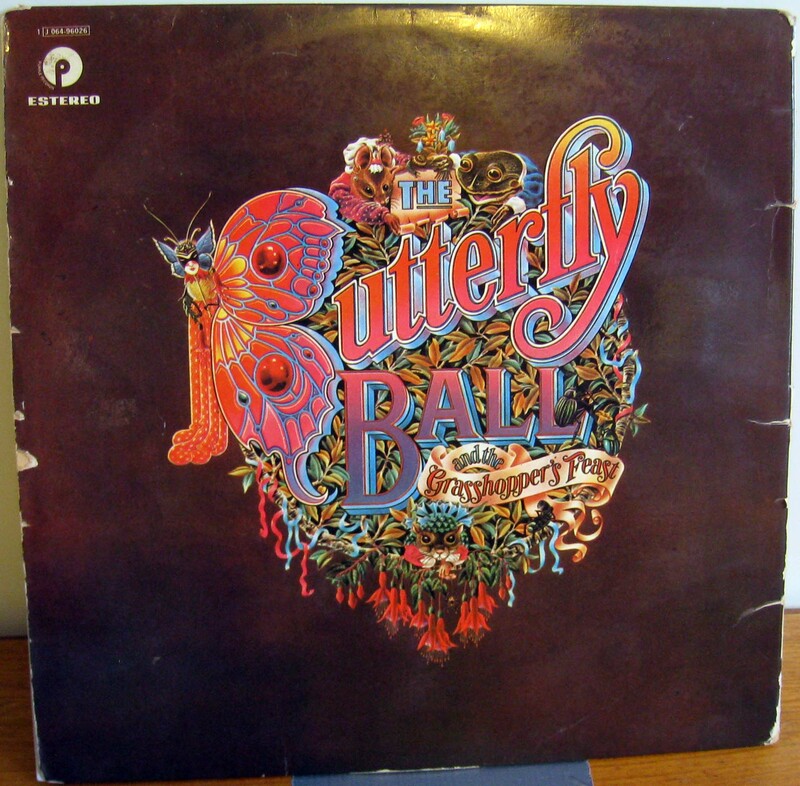 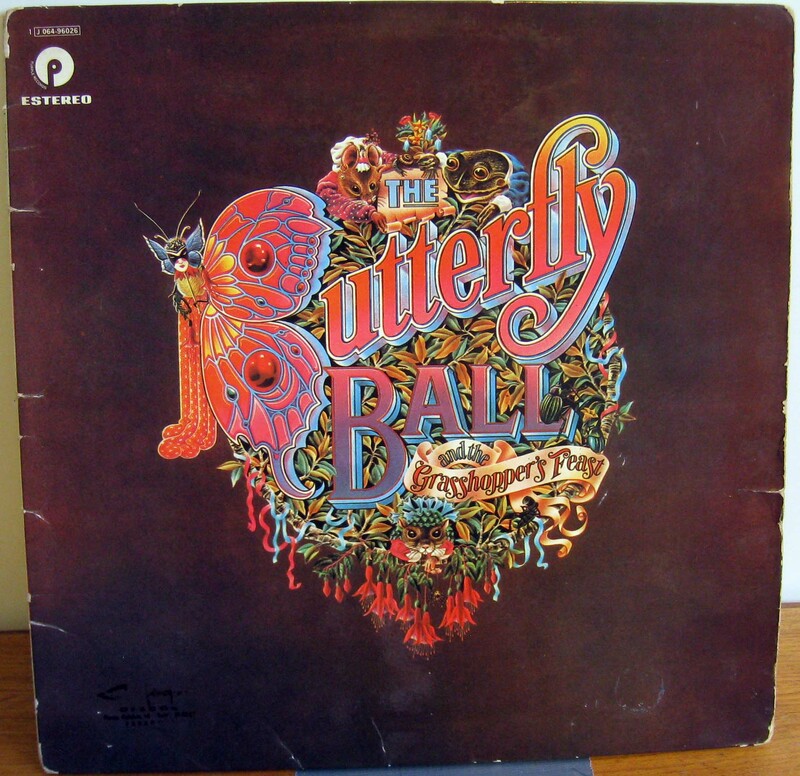 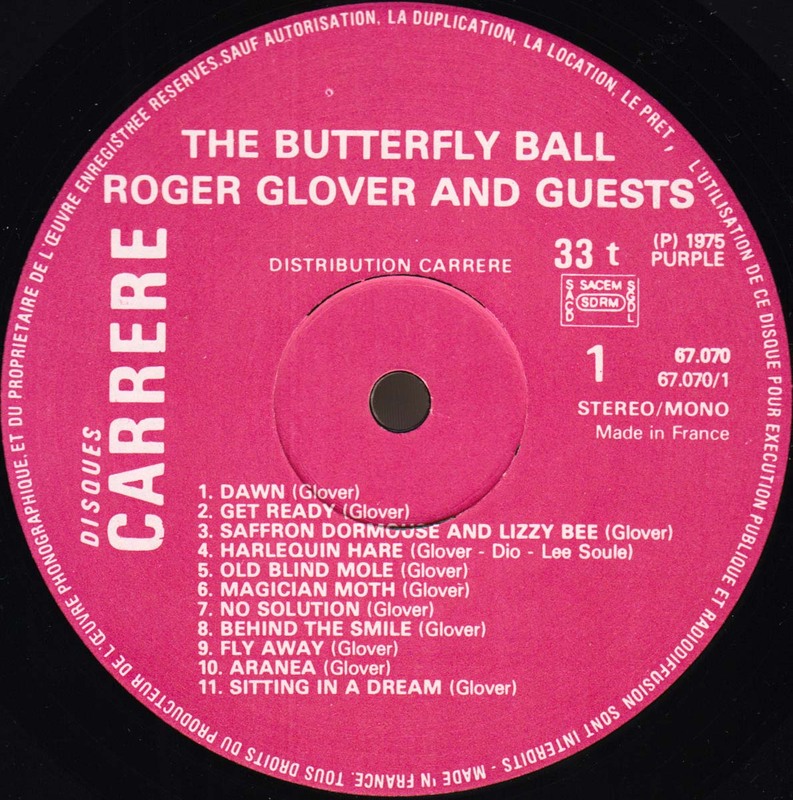 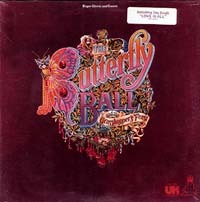 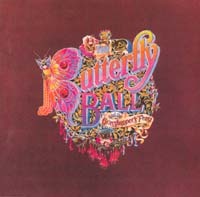 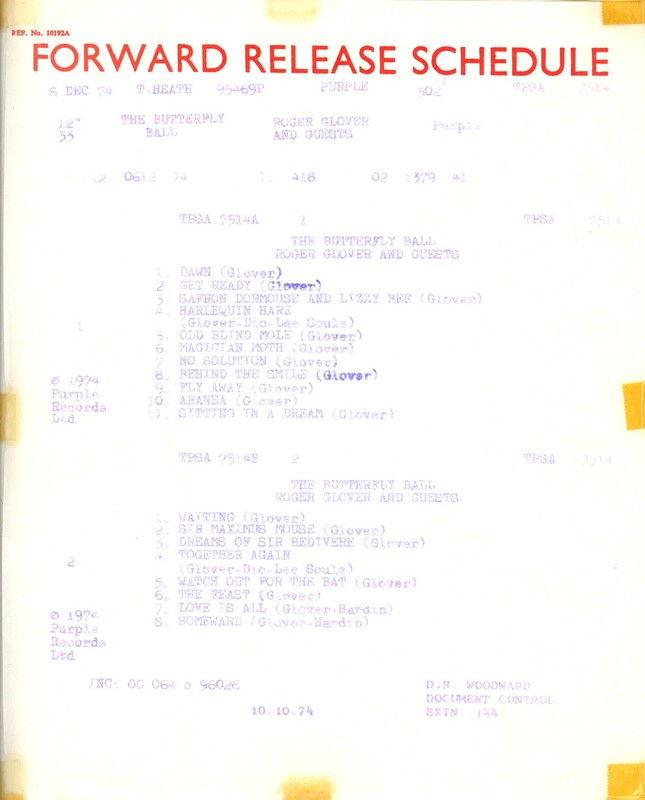 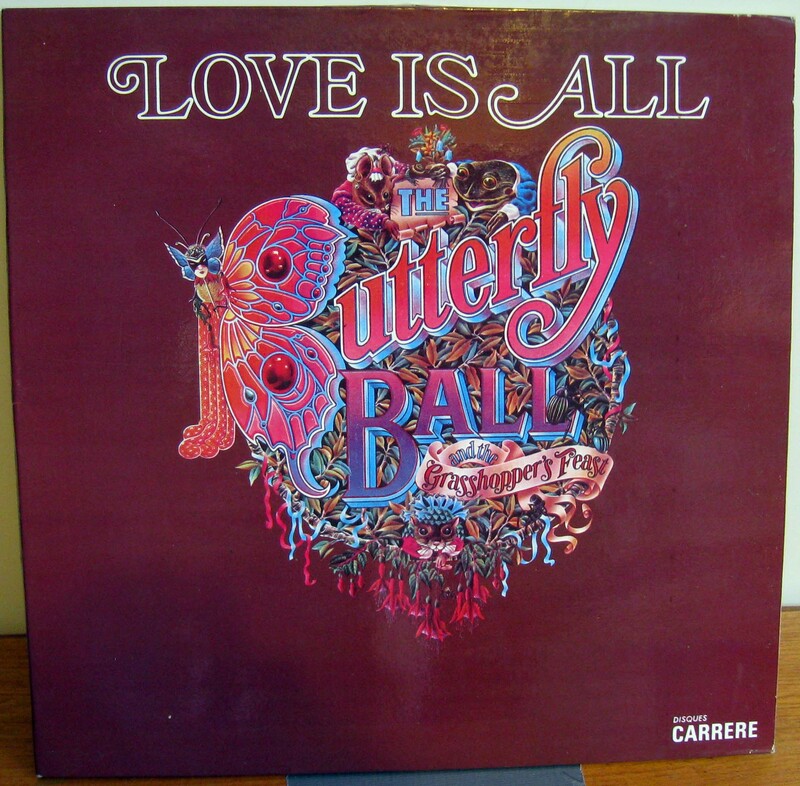 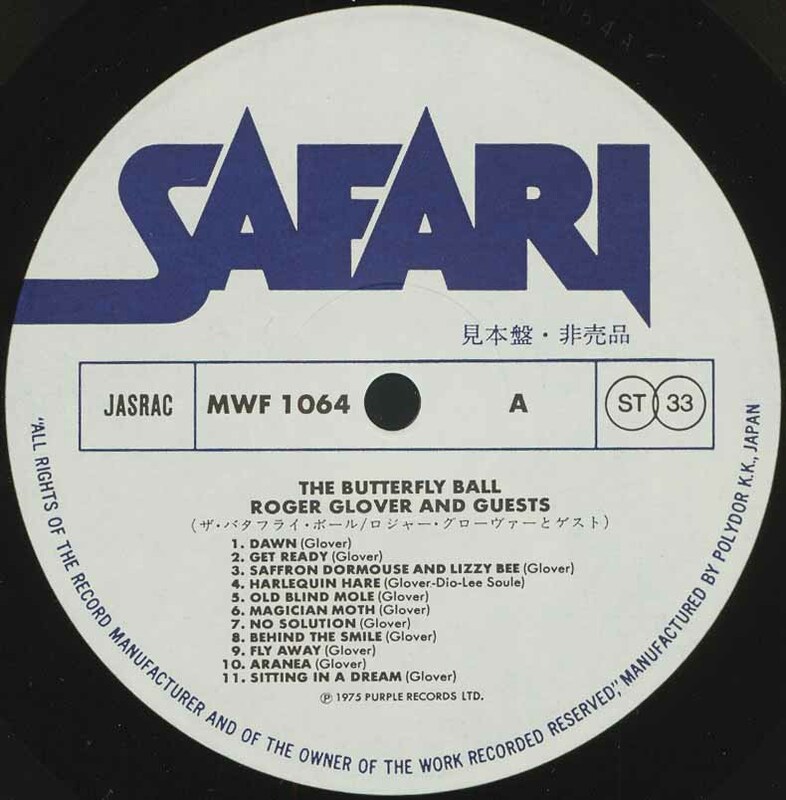 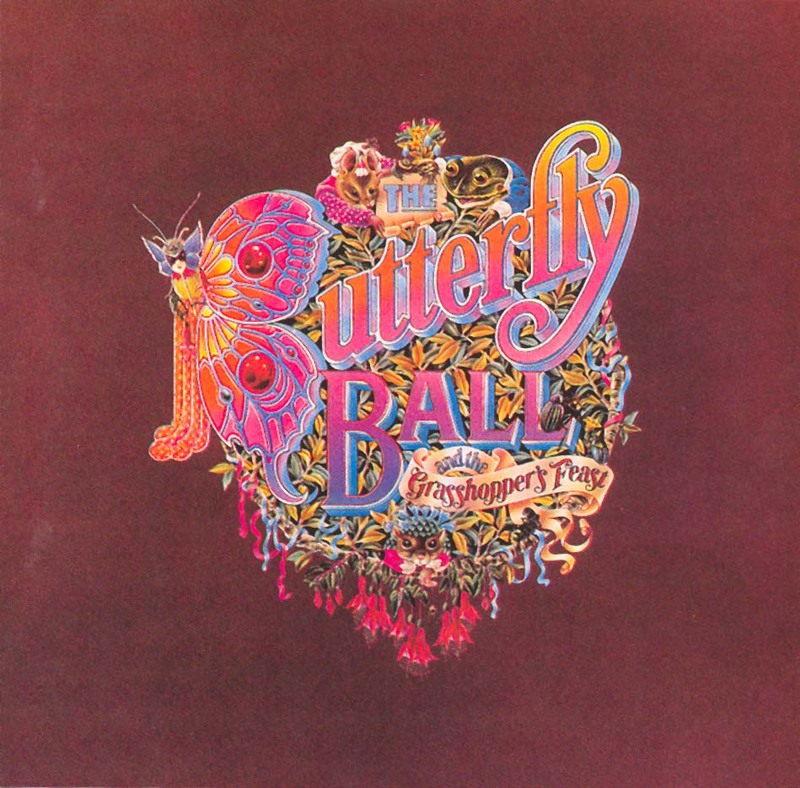 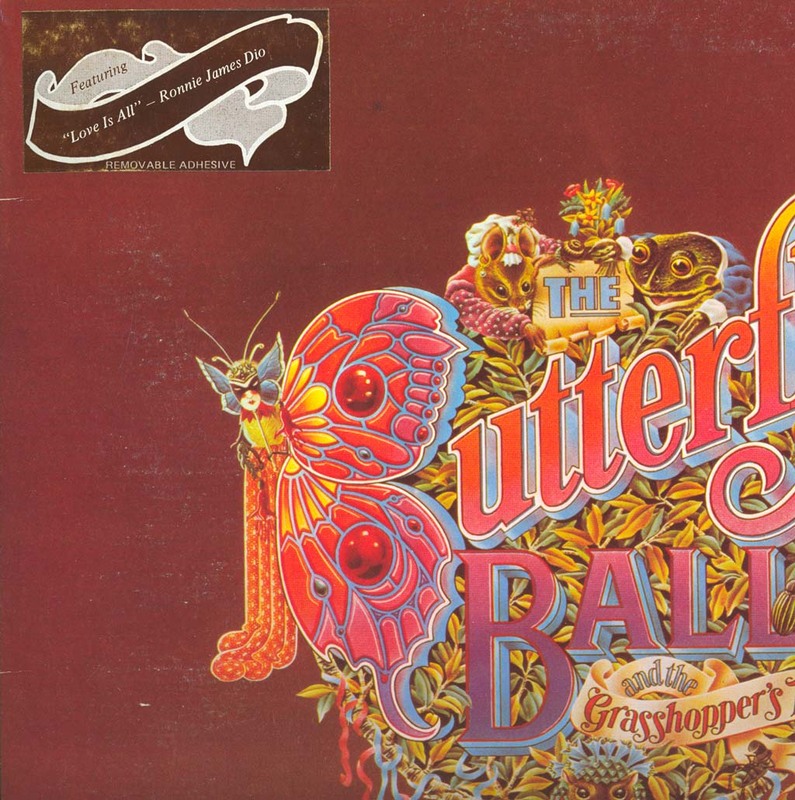 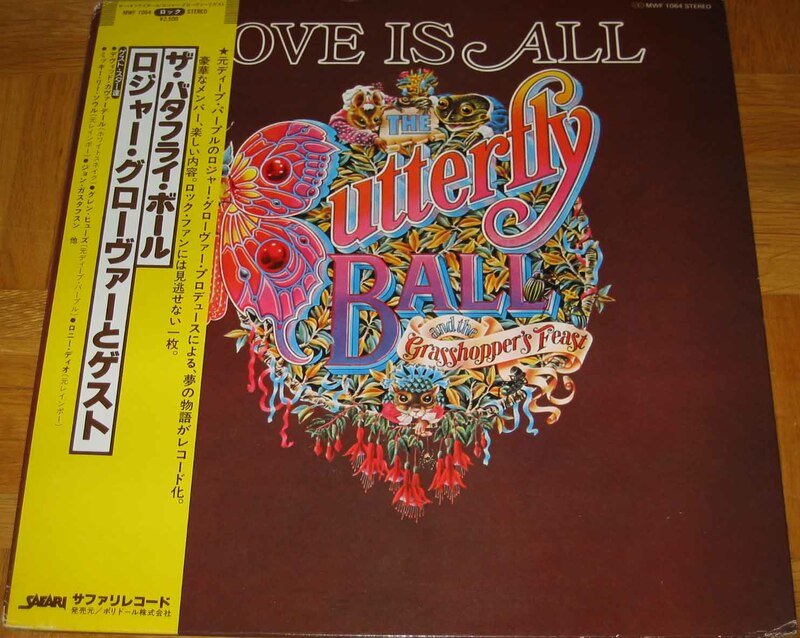 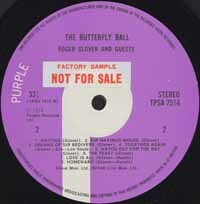 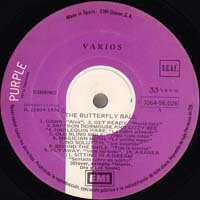 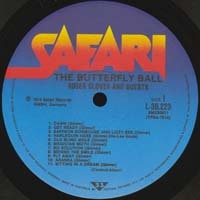 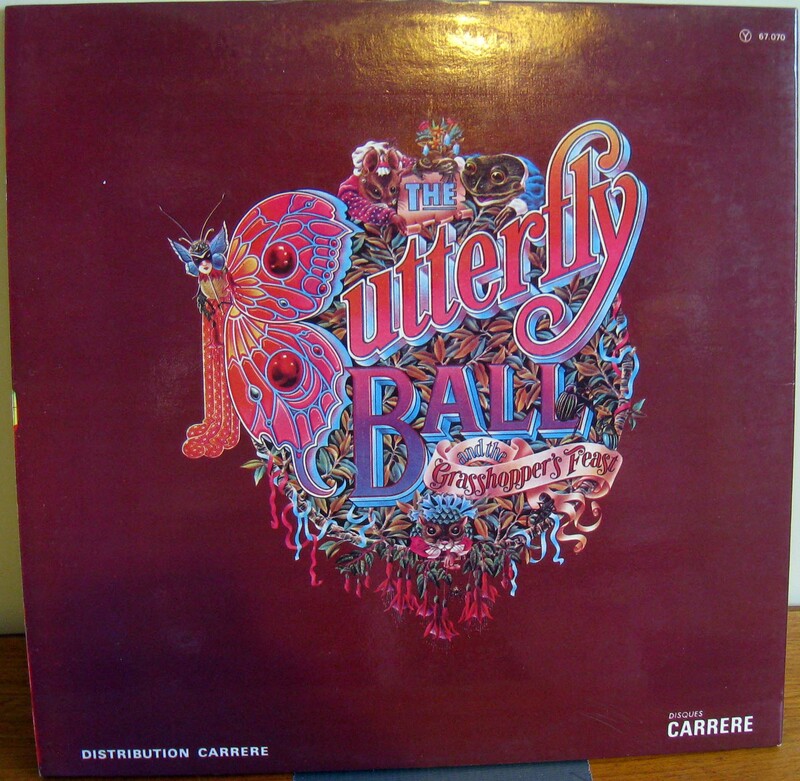 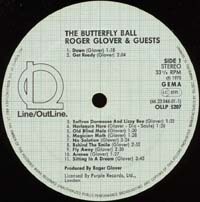 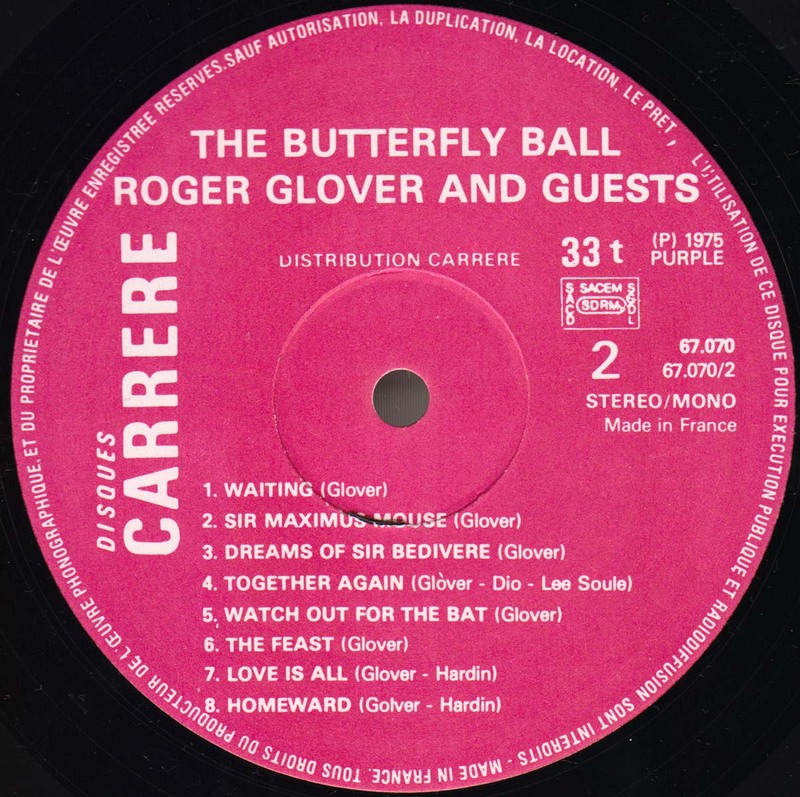 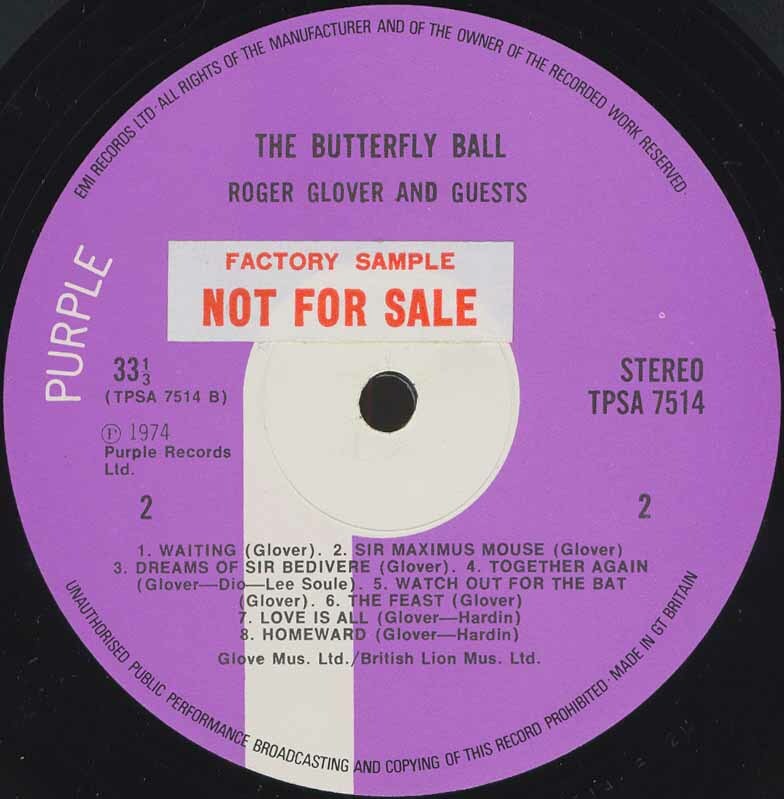 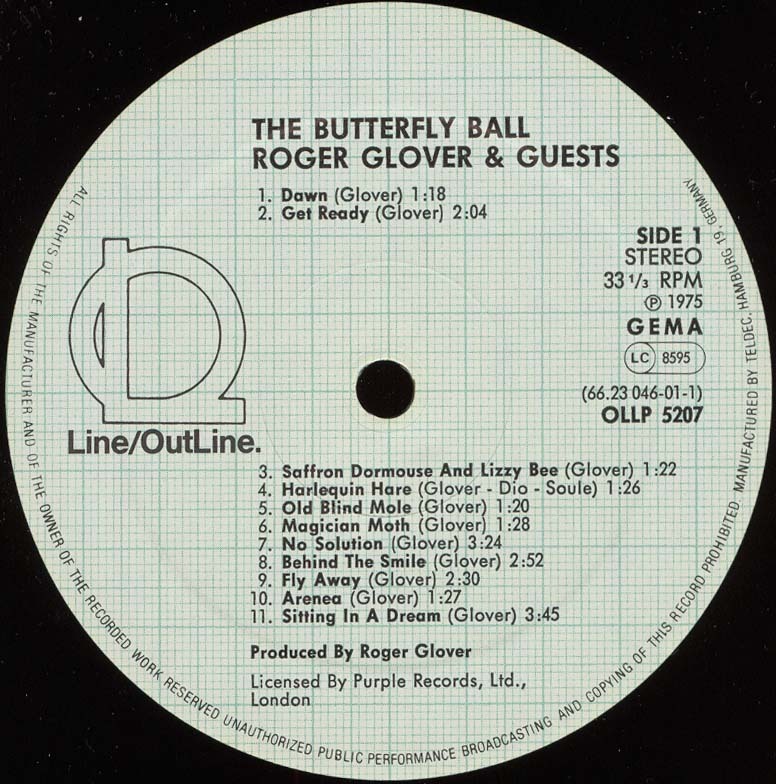 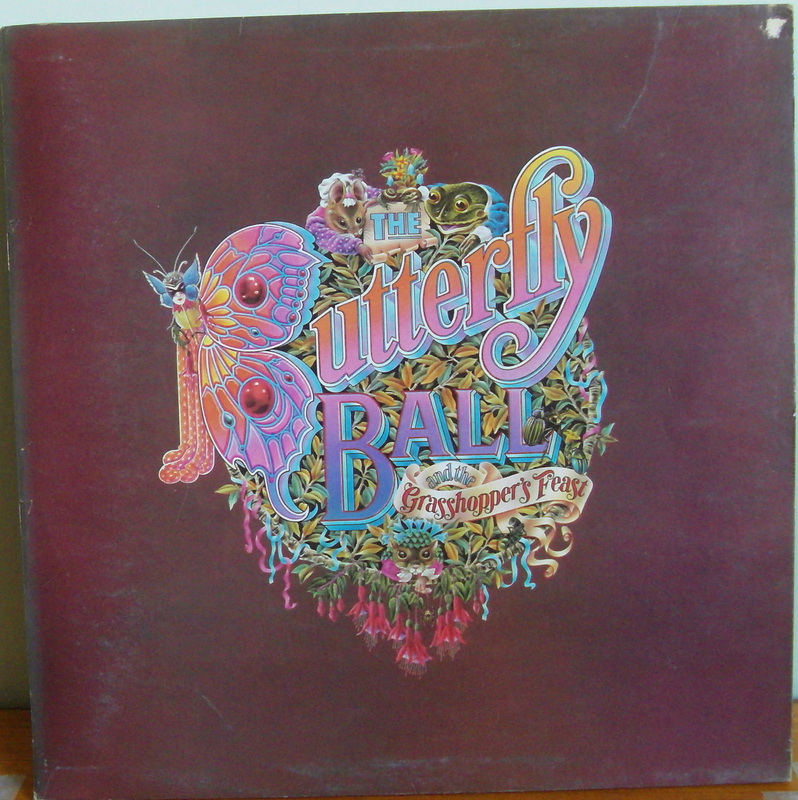 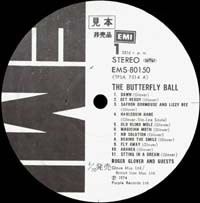 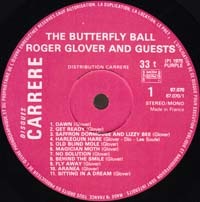 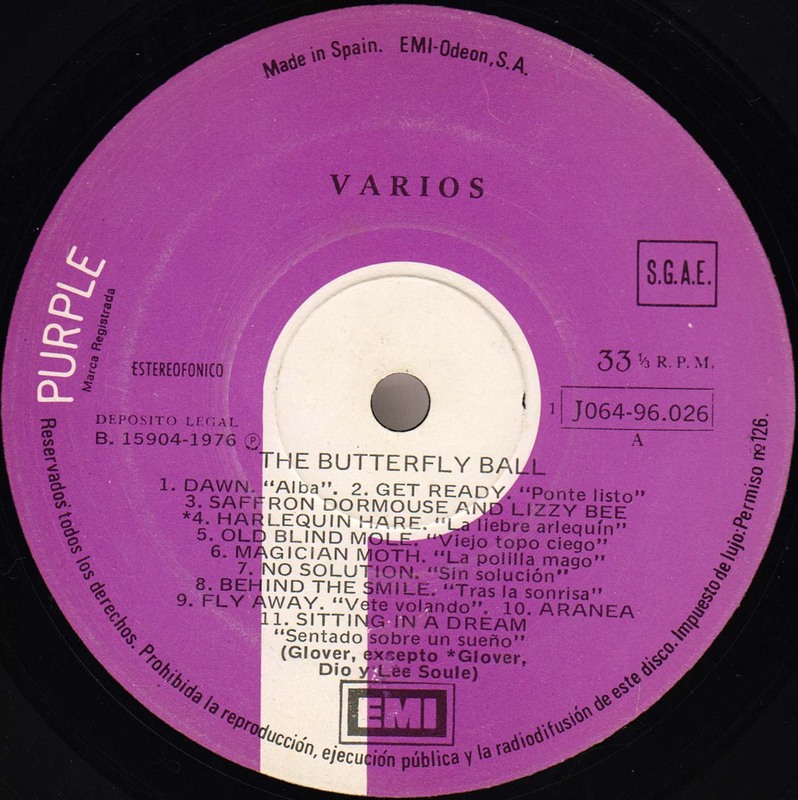 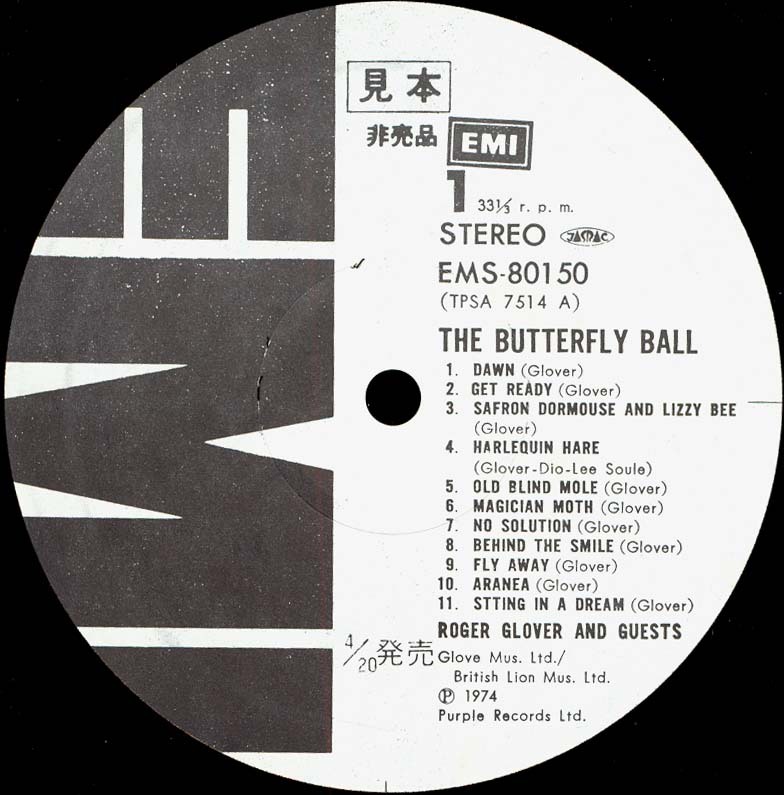 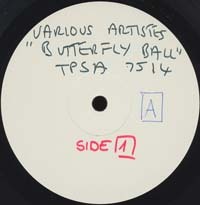 - Titled as "Butterfly Ball Love Is All"
Safari MWF 1064, Japan, 1979? Safari MWX 4027, Japan, 1979? 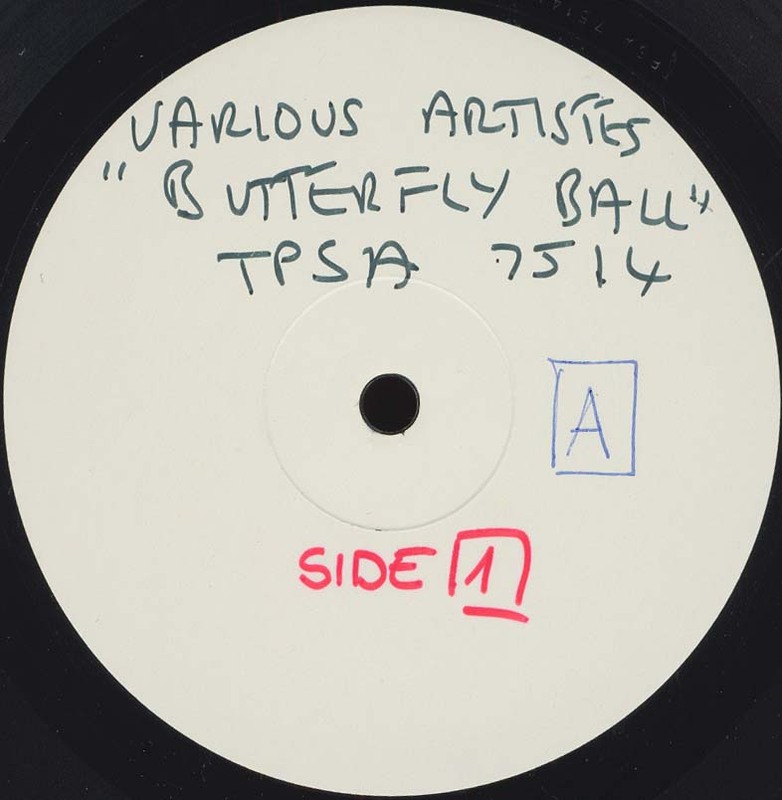 - Might've been released in 1979 instead? 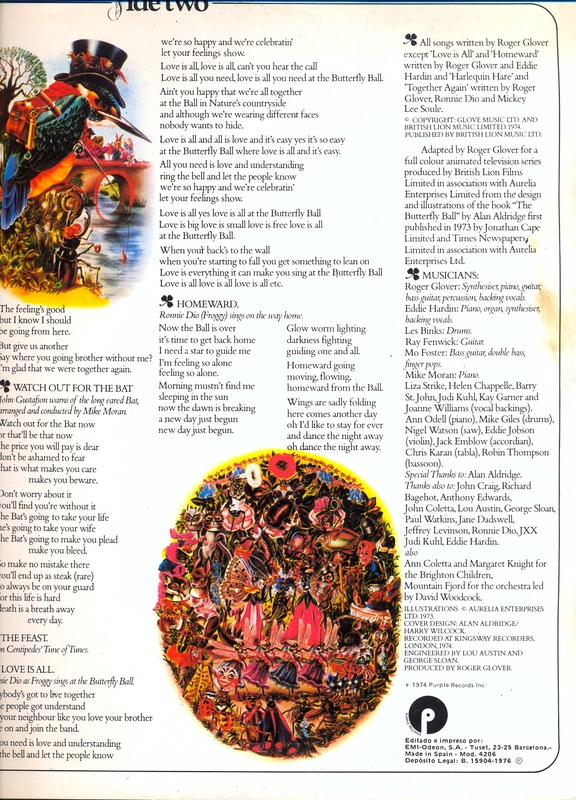 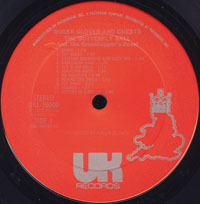 - Click here for gatefold sleeve detail picture. 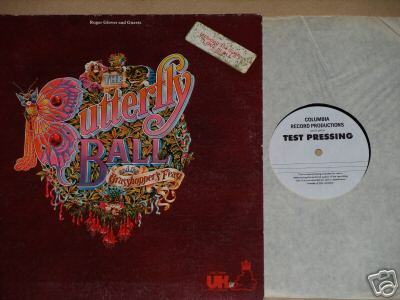 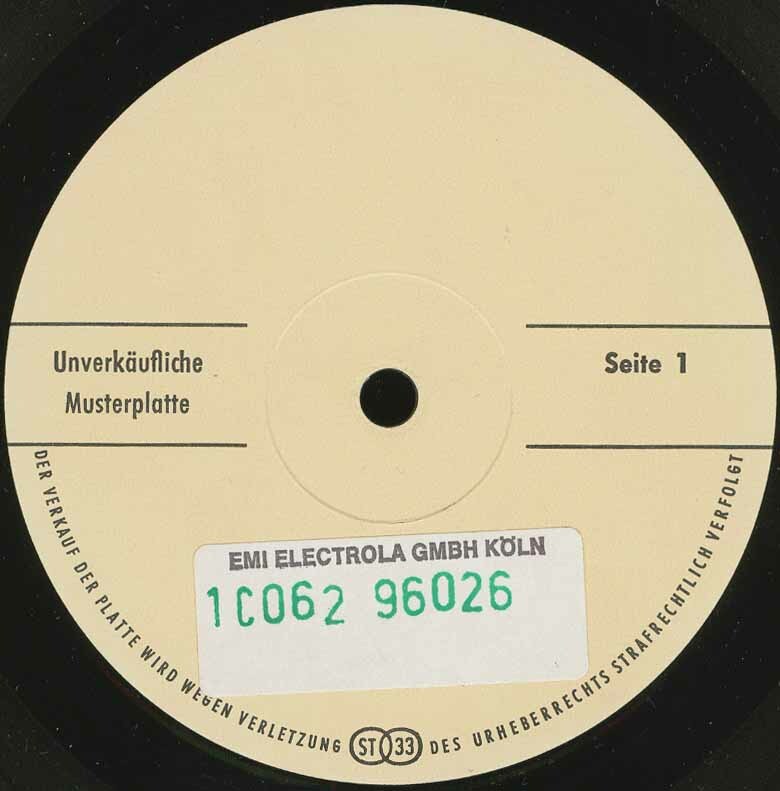 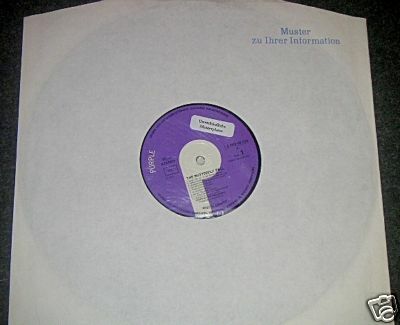 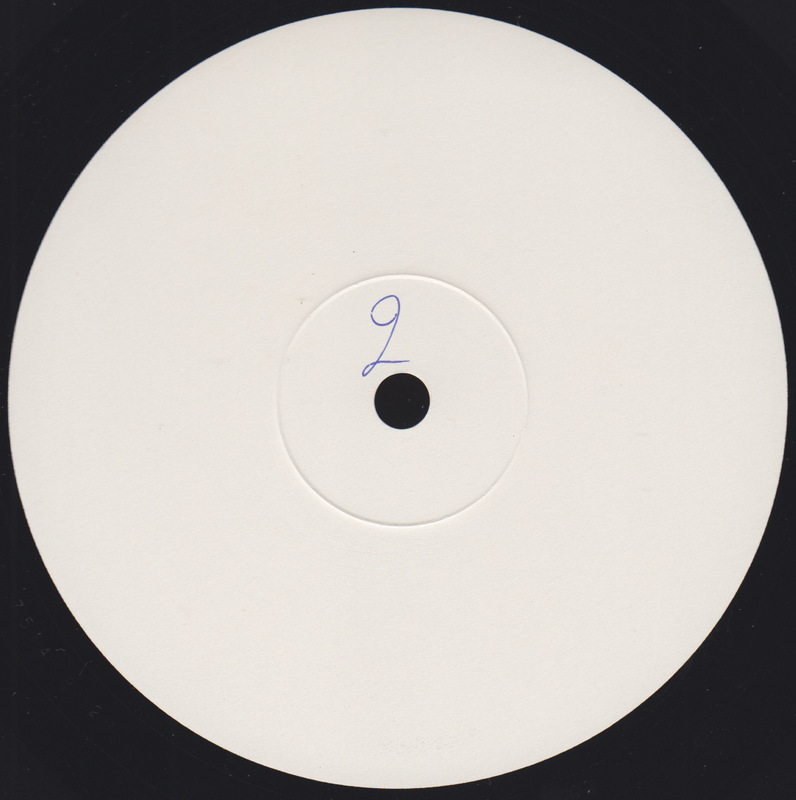 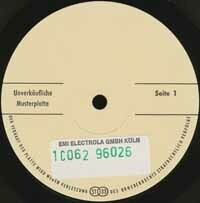 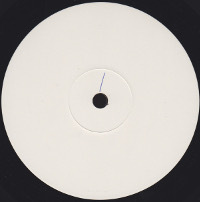 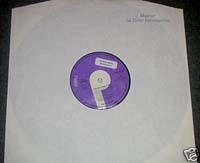 - Different master used on this compared to the other test pressing or the regular printing. 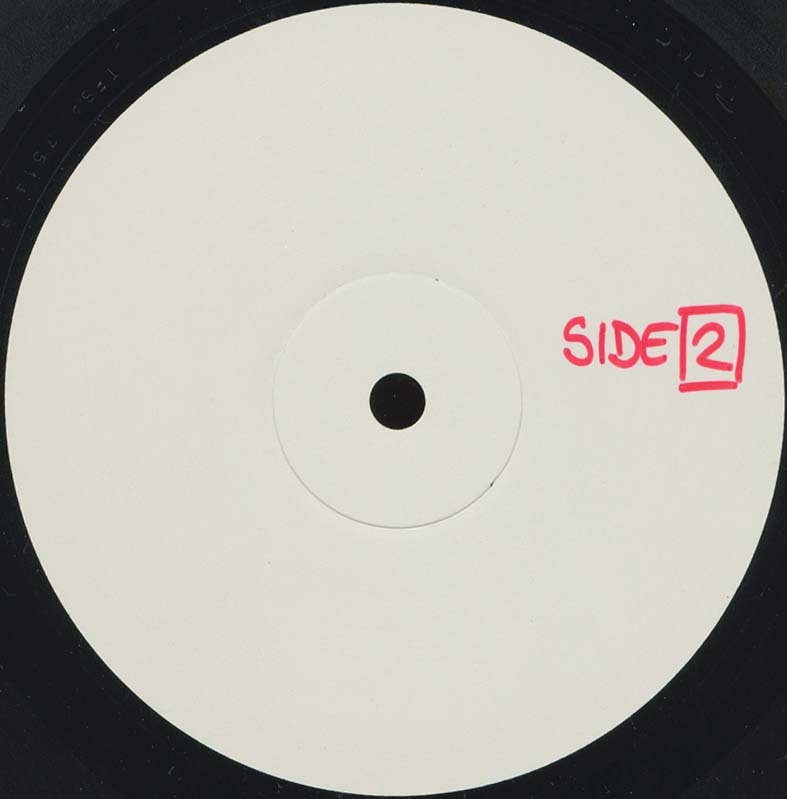 The run-off area has etchings "TPSA 7514 A-1U" and "PORKY" but "GOOD LUCK FACTORY" missing (exists on the stickered promo and release version) on the side A run-off area. 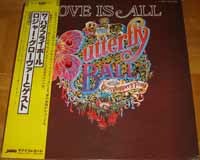 - Includes a sticker on the front sleeve saying "Includes the single Love Is All"
- Includes a sticker saying "Includes the single Love Is All"